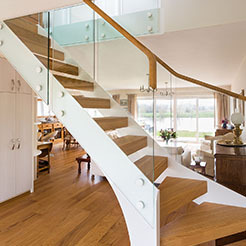 Customise your open plan design to suit your style. 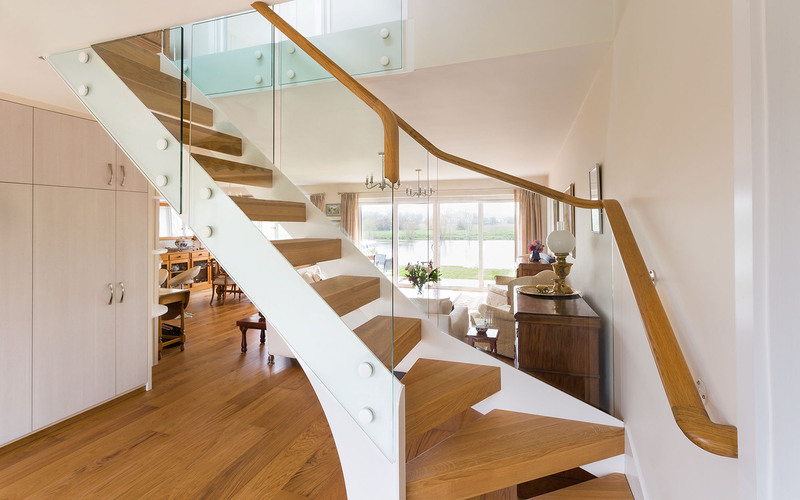 Select any form of balustrade, whether it be glass, spindles, wiring or metal work - or opt for no balustrade at all. 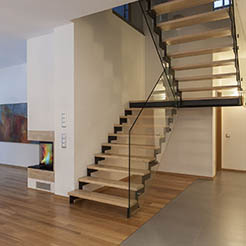 Then incorporate an array of other materials and design features. 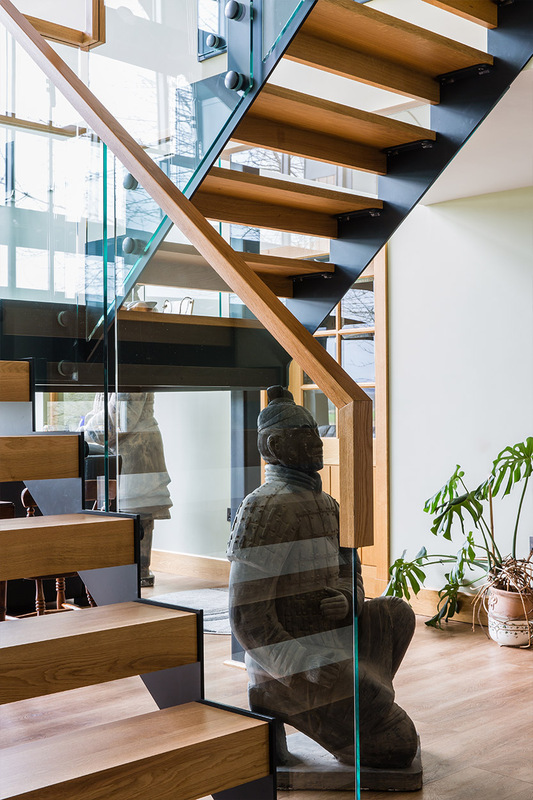 Allow light to flood through your entrance or hallway using open treads and clear glass balustrades, making the space appear larger. 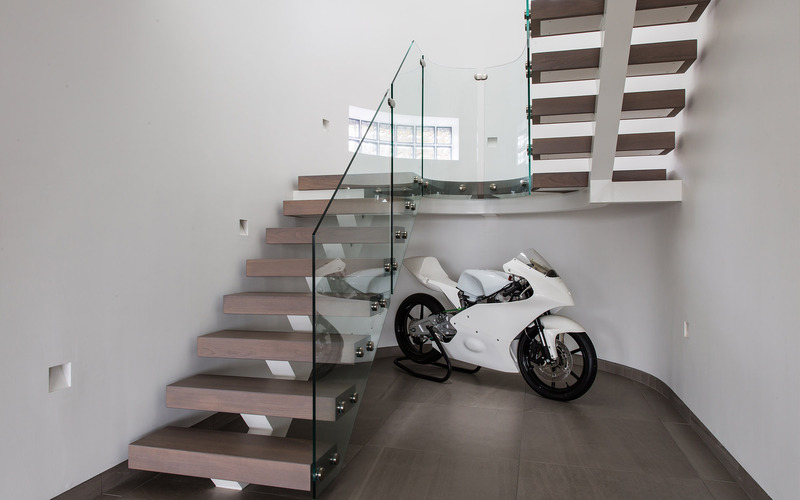 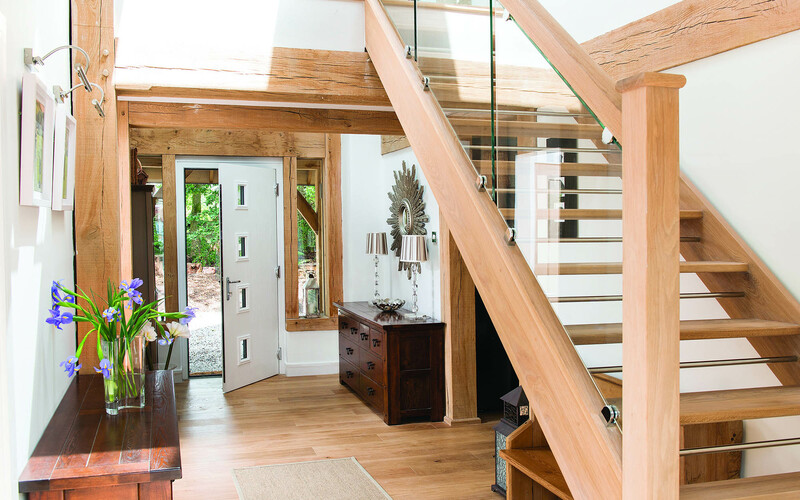 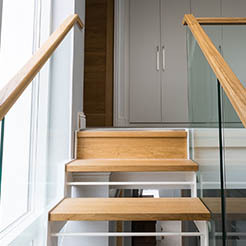 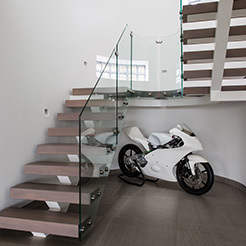 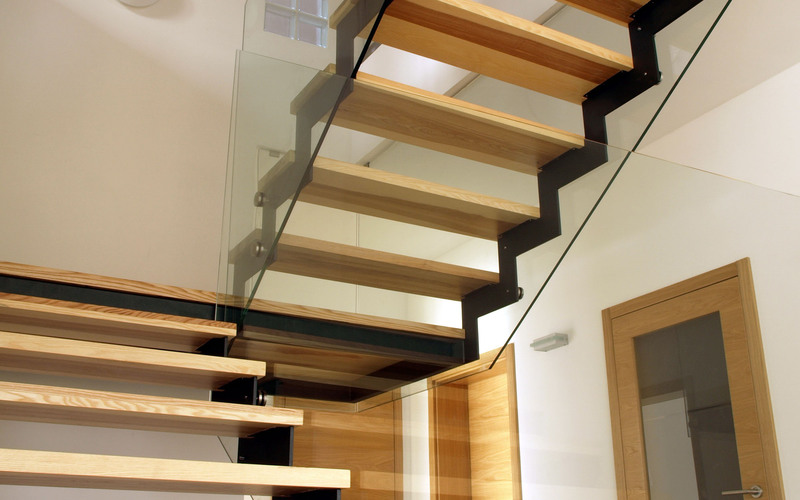 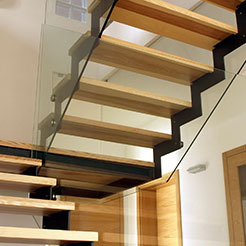 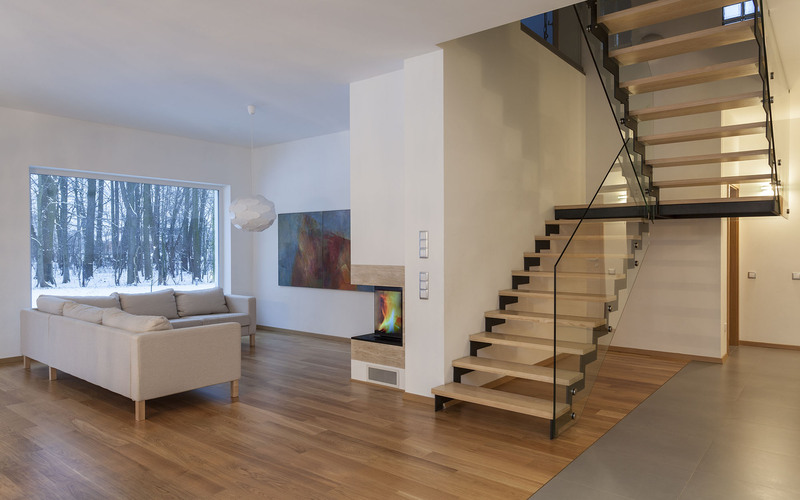 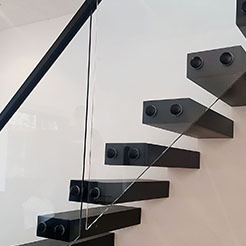 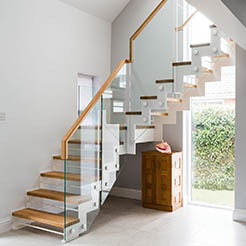 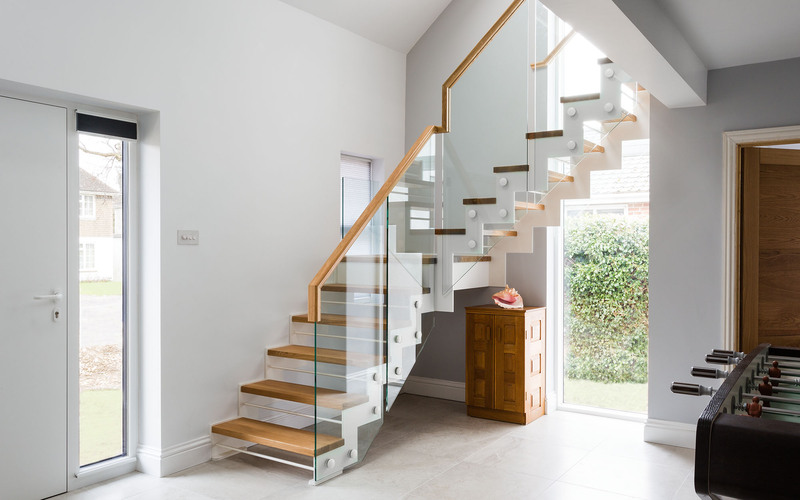 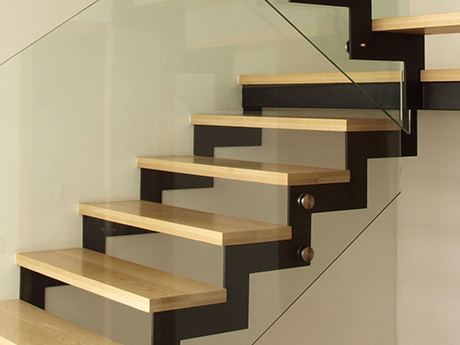 With over 20 styles of designer staircases to choose from, you can be sure to achieve the look you’re after – whether it be traditionally styled using solid timber components or modern and minimalist with metal and glass. 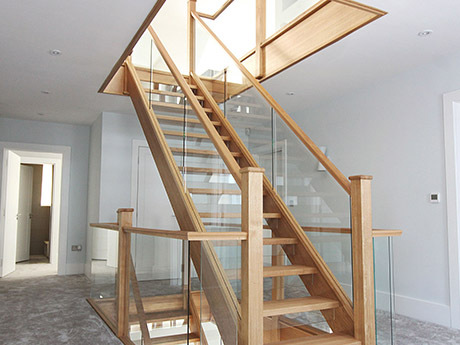 Speak to a designer today to discuss your ideas. 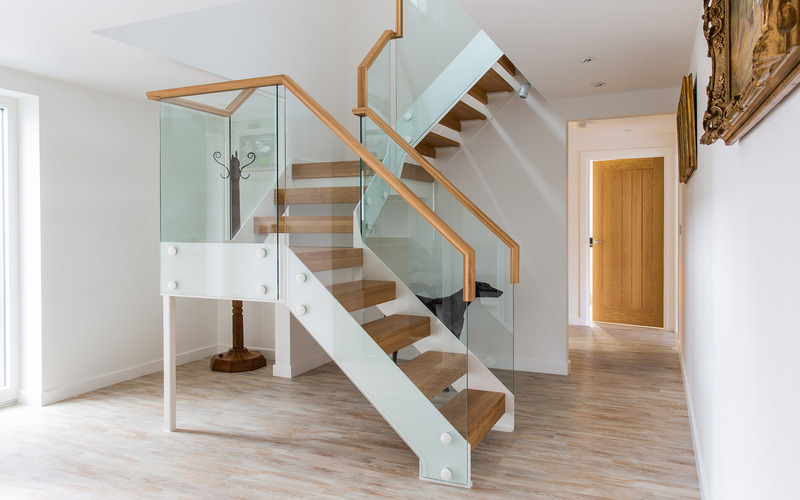 “Many people choose to replace an old staircase with an open staircase to embrace the open plan living interior that is at an all time high. 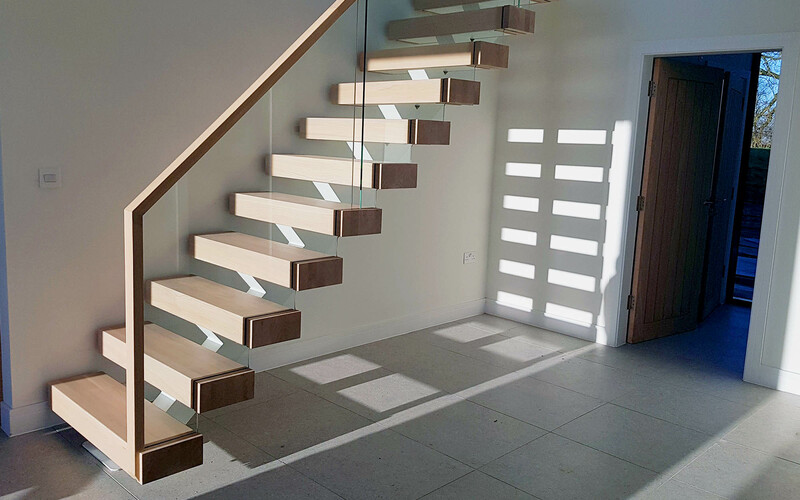 If our clients do not have storage under their staircases, I feel it would be a sin not to make their staircase open plan. 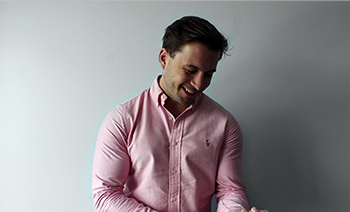 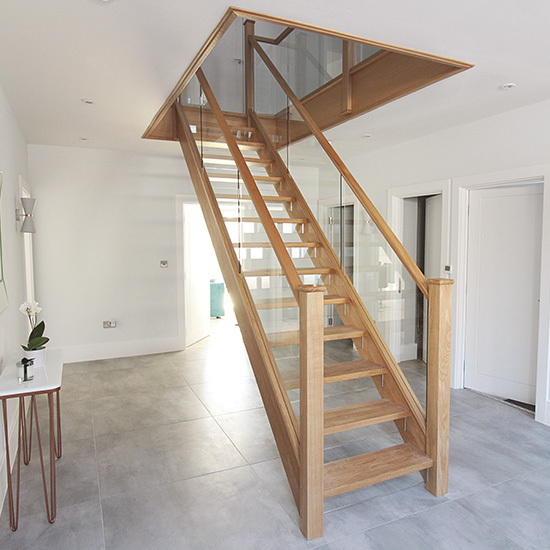 "We knew buying two staircases was going to take a large amount of our new build budget, but Adam designed us our perfect staircase at a great price and the service was second to none from our first phone call!" 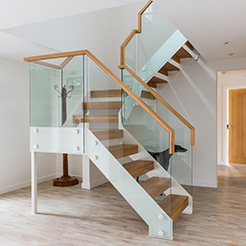 Mr and Mrs Chauhan were building a spectacular 3 story new build in the heart of Wellingborough with the need of two designer staircases. 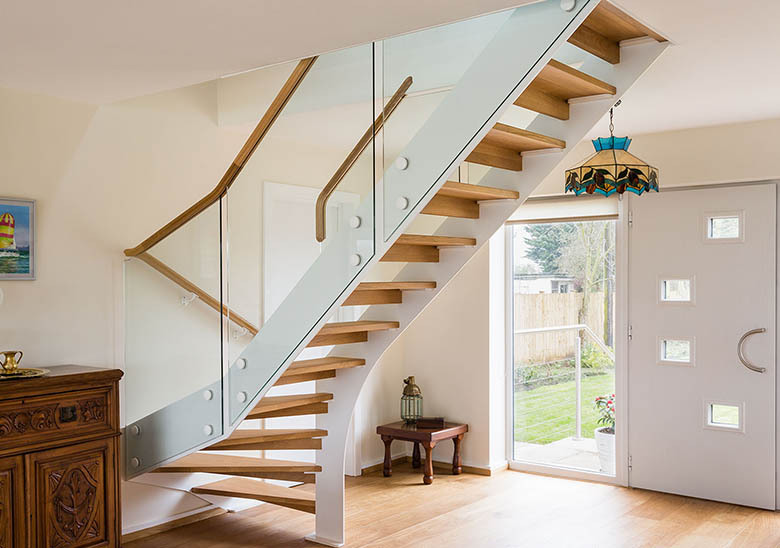 The builder on the project was not able to offer the vision that Mrs Chauhan had in mind for her dream home, she came across First Step Designs seeking advice on the best way to move forward with her vision so we sent our designer Adam to assist in the project. 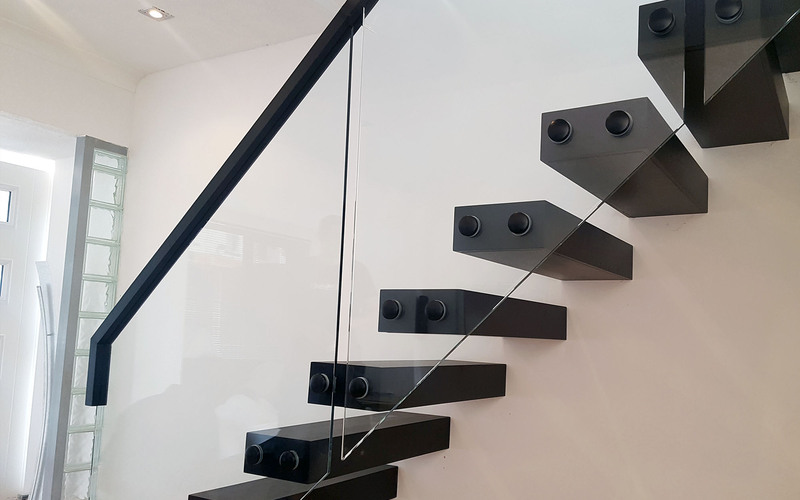 From viewing the plans it was clear that this was a special project. 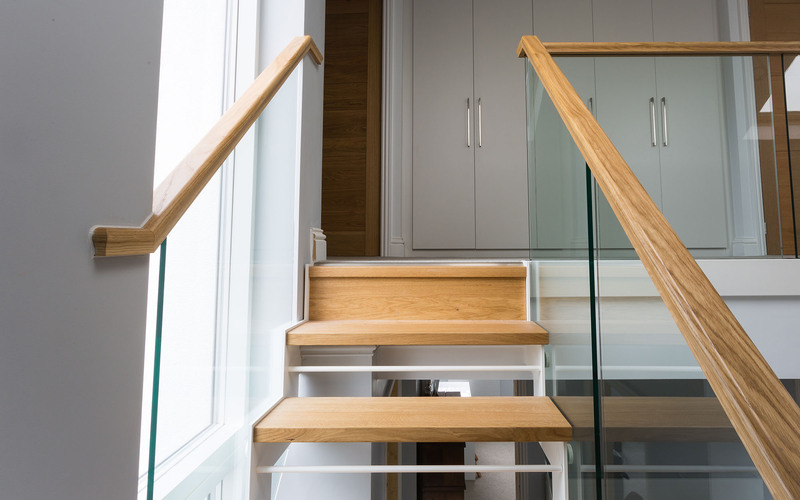 Two large staircases stacked is something only seen in the greatest of properties in the country and this home had it central in the heart of the home! 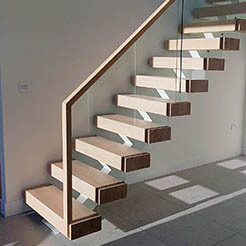 We did not want to disrupt the openness of the entrance hallway or the large first floor landing, so we decided to pursue an open staircase design for the project. 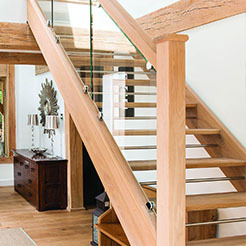 The Chauhans were just starting a family, so comfort was key for this home. 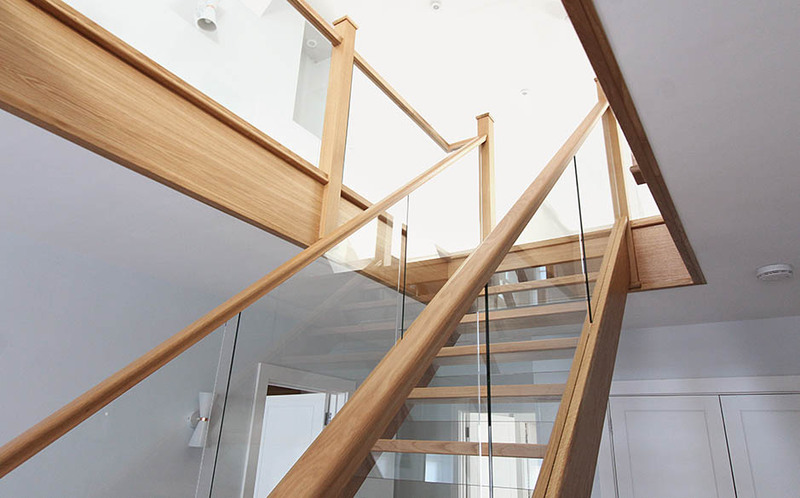 Nothing is more comfortable than the natural warmth of European White Oak. 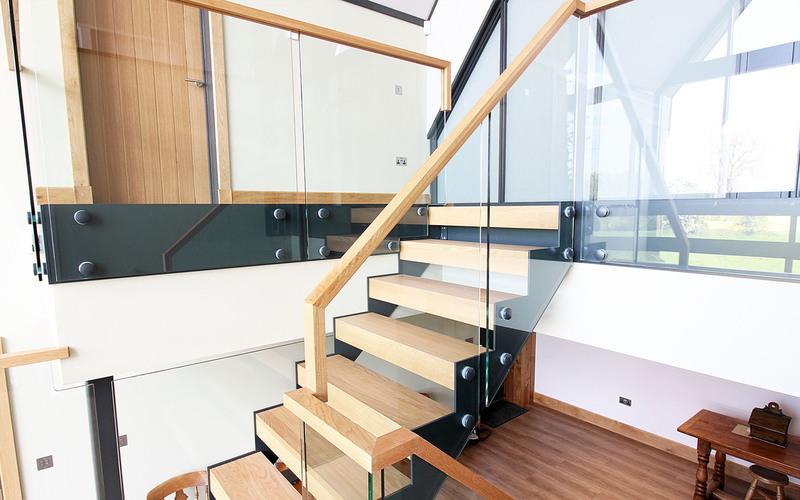 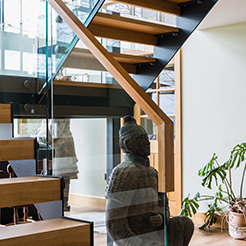 Merging this fantastic timber with glass highlights throughout the balustrades and the gaps between the treads (sub risers) allows light to flood throughout the home, but also keep the staircase fully compliant with building regulations. 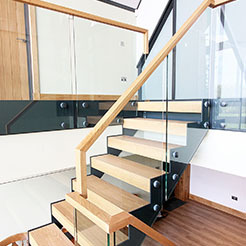 Every element of this staircase is customisable, the handrails, caps, posts, treads, risers, glass etc… Choosing a style of staircase is only the start, once you delve into the rabbits hole of First Step Designs, this becomes clear.